Just read this and enjoyed it. I wonder how I made it then? Can’t remember but do remember you not caring for it. I think I remember adding honey to make it more palatable. You could add that it is really fun to pick those beautiful elderberries if you happen to know a spot. I love elderberry syrup! 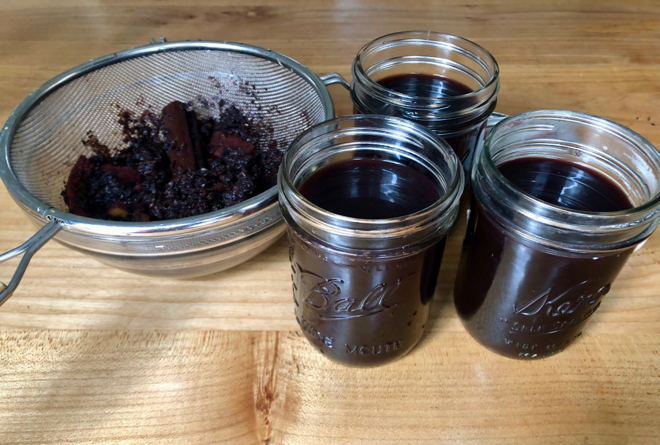 I made some last winter but by the time I’d purchased the dried berries it ended up being a wash financially, so I continue to buy the Nature’s Gate one or whatever it’s called. Maybe I’ll try again and dilute. I do think it’s super helpful in the winter.